OMG! I’m checking out scooter motorcycles! 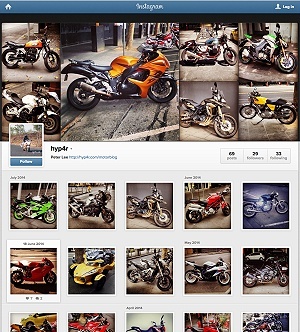 From the fastest motorcycle in the world to some of the slowest in the world oh how I’ve fallen…or have I? This spec and showroom review is purely because I’m looking at these types of motorcycles to see if their worth buying. This week I’m looking at the Honda Forza 300 for 2018, but there’s an all new model due out later this year. So while I checked out the current model I wouldn’t buy it rather wait for the new one just around the corner. The Honda Forza 300 design was released world in about 2013 but the styling was clearly 2000’s more than 2013 so it looks old. The design was also resembled the 2000’s Suzuki Skywave which which was more popular and then became the Burgman. 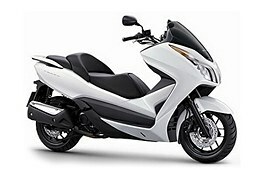 Technically the Forza is a classified as a maxi-scooter since it’s over 250cc and much larger and the most powerful in the Honda scooter range apart form the Silver Wing 600 which is not available in all countries. Despite being 300cc it is still LAMS compatible so worth a look for any rider looking for a commuter or learner motorcycle. Is the current Honda Forza 300 worth it? The answer is probably not. The Honda Forza 300 is currently priced at $7500 AUD which is expensive for the spec and that there are regular motorcycles with more power priced lower. The only problem with this Forza 300 is that there is a new 2018 model yet to be released. The new model is a underskin and design refresh and it’s quite a change from this model that I would definitely wait for the new one.